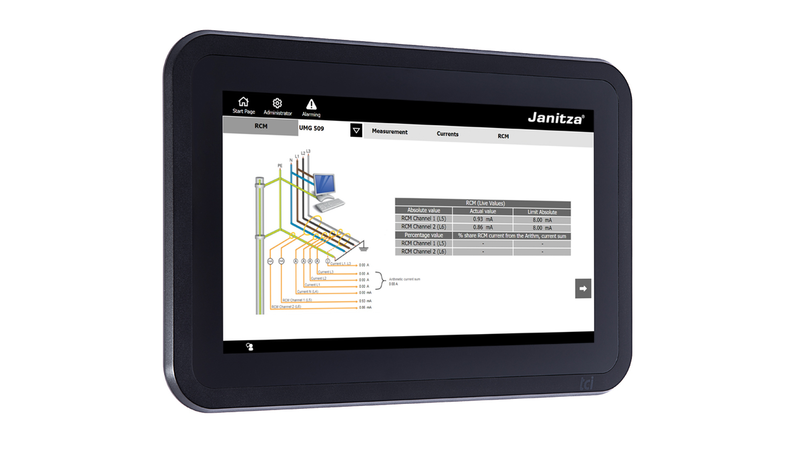 The Smart Energy Panel JPC 100-WEB is used for optimum, central display and monitoring of energy measured values. Modbus slave devices (e.g. Janitza UMG 103-CBM) are integrated either via the gateway function of the master device or directly via the RS-485 interface.